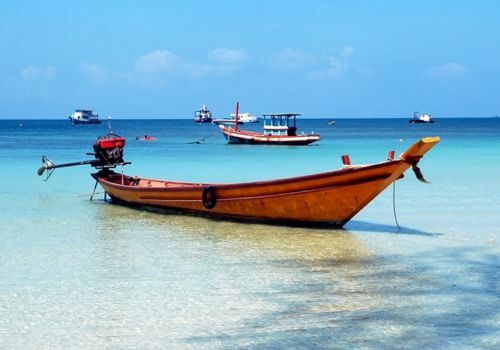 If you’re looking for a spot of relaxation then there’s no better way than by visiting three of the most impressive islands Thailand has to offer – ideal for a gay honeymoon in Thailand. Spend time unwinding in Koh Tao, Koh Samui and Koh Phangan. If you want to go diving or snorkelling then these are great destinations for new or seasoned professionals. Spend your first few days unwinding in Koh Tao. A beautiful island, it’s renowned for its diving spots. You’ll find stunning coral reefs and also be able to swim with whale sharks and rays. The island is also particularly good for hiking, rock climbing and bouldering for those who can’t sit still! You’ll take one of the thrice-daily catamarans to Koh Phangan. Whilst the island is renowned for its full moon parties that are popular with the backpacker crowd, there are also a lot of luxury properties in quieter parts of the island and lots of beautiful beaches too. You’ll take a speedboat from Koh Phangan to Koh Samui. Koh Samui is Thailand’s second largest island and known for its combination of the mountainous rainforest as well as beautiful beaches and luxury resorts. You’ll also find the famous 12m-tall golden Big Buddha statue on a temple located on a tiny island that is reachable by a causeway.